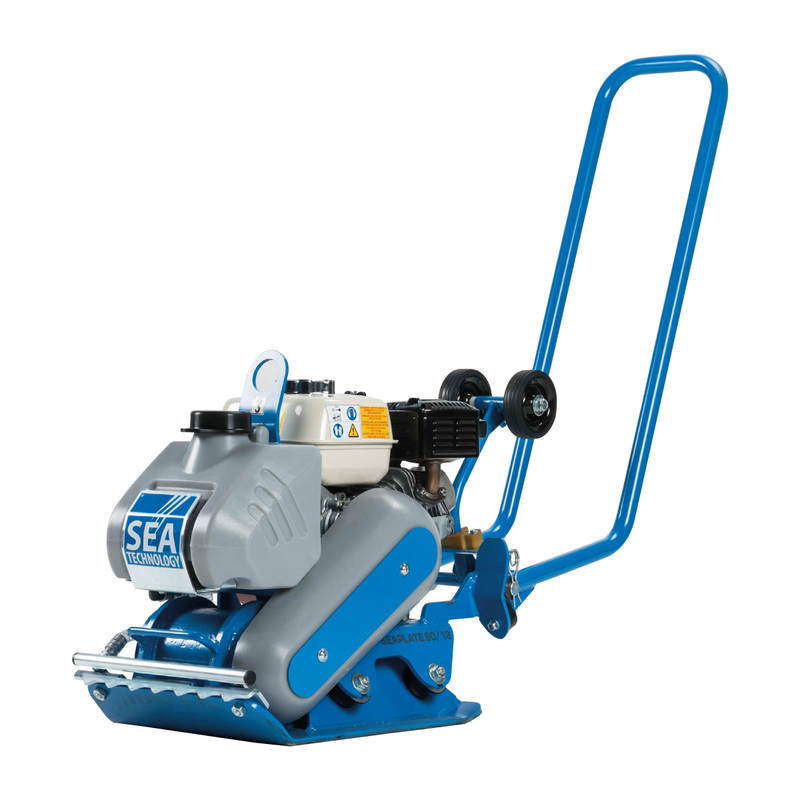 The SEPLATE 12/60 is the smallest in its range. Its main feature is the excellent handiness due to its compact weight and dimensions. Supplied with Honda GX 120 engine, it can be easily moved and ideal to be used both in tight spaces and for precise, agile jobs. Easy to transport thanks to its wheels and folding handle. In this new version a steel protection has been assembled on the faucet.